We’ve been the place to be in Exton for over a decade by bringing you beers, burgers, wings, music, and the best patio in town. "We want to hear it! https://subscribe.mainstreethub.com/email/1b5d74e8-199b-4e3d-96c1-5d833ef49219"
"Get your game face ready and grab your friends! Free to play with the chance to win cash and gift cards. We'll have $2.50 Miller Lite pints." 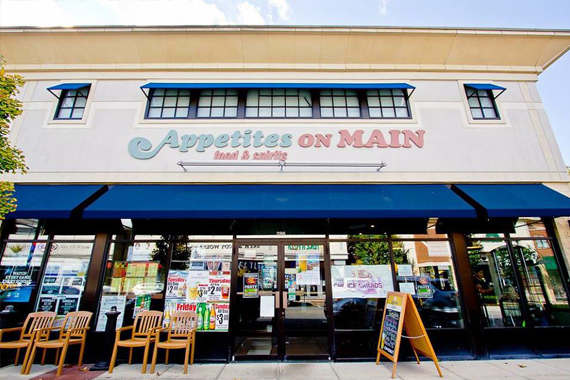 "Appetites on Main: where good days become great." "Come for the music and stay for the food! Every weekend we have live music or DJ's. Dance the night away with us." "A meal so divine, it'll put you on cloud nine. ???" One of my favorite places to drink and eat. plus you can sit outside your dog and they serve hin water and hot dogs.. what more could you ask for! Yes, I'd like to receive news from Appetites on Main. Sign up for the Appetites on Main Newsletter!